This will be a series of posts about experiments testing the development of low cost UV resin based printers. With an aim to deciding what technology works the best for the (low) price and then building a 3D printed Resin (SLA) printer. Further on we will take a look at other technologies to achieve a similar process, they my evolve into another resin based printer, if the benefits are significant enough. Many years back when b9creations were looking into resin printing I was almost tempted to build up a UV resin printer from a DLP projector. Various projects like Lemoncurry were also being developed, but cost, size and time shelved that as an active project for me. Fast forward to a time when projectors are smaller, higher resolution and UV resin is really easy to get hold of. 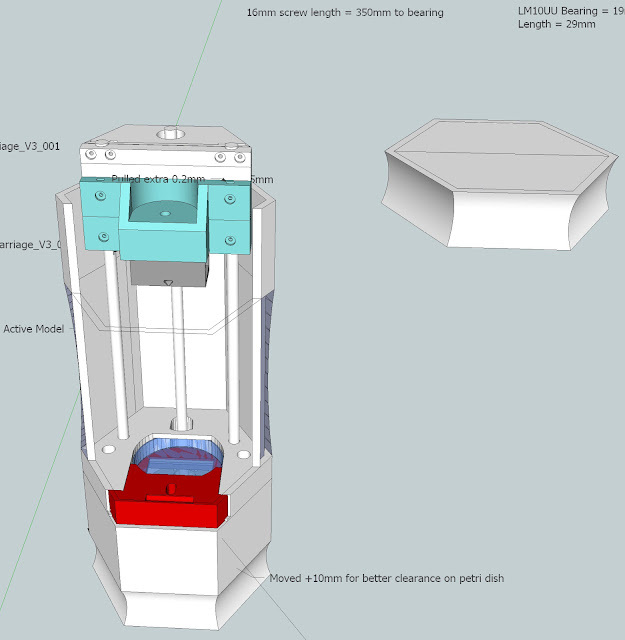 I decided to attempt the design of a small machine for detailed 3D printing. A few machines have successfully been built using low cost LCD panels and UV LED's. LCD panels have a few factors that make them less than ideal. They usually have a UV coating and polarizing films, these may need to be removed to allow UV light to pass through. Resolution is usually low for smaller sized panels, so bigger panels can often bulk up an LCD based system. Other developers are also working on LCD based resin printers. So to start I decided to take a look at LCoS based pico projectors. Even High resolution LCoS and DLP based optical engines can now be bought for well under $100. Portable LCoS projectors are based on similar principals as a DLP based design. 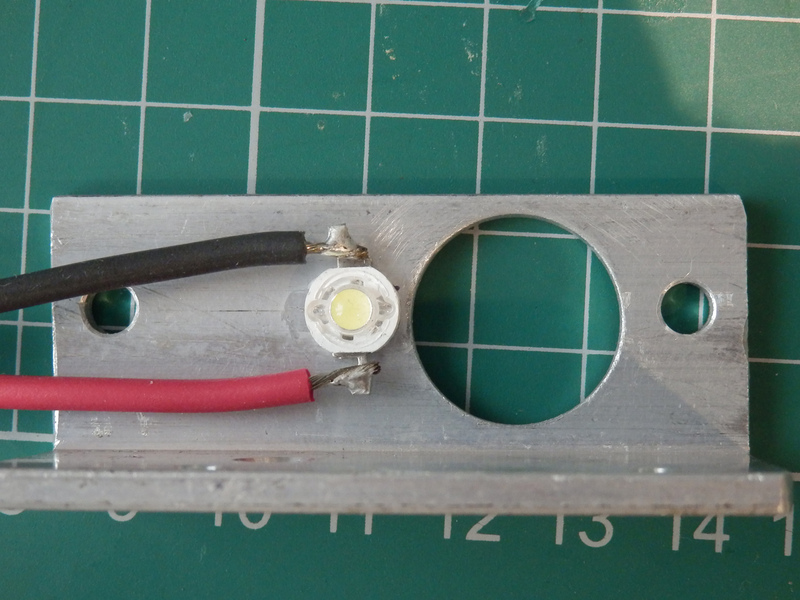 Light from an RGB LED is channeled and reflected (bounced) off an LCoS panel around 1/2" in size. Lenses and focus produce a sharp colour image. 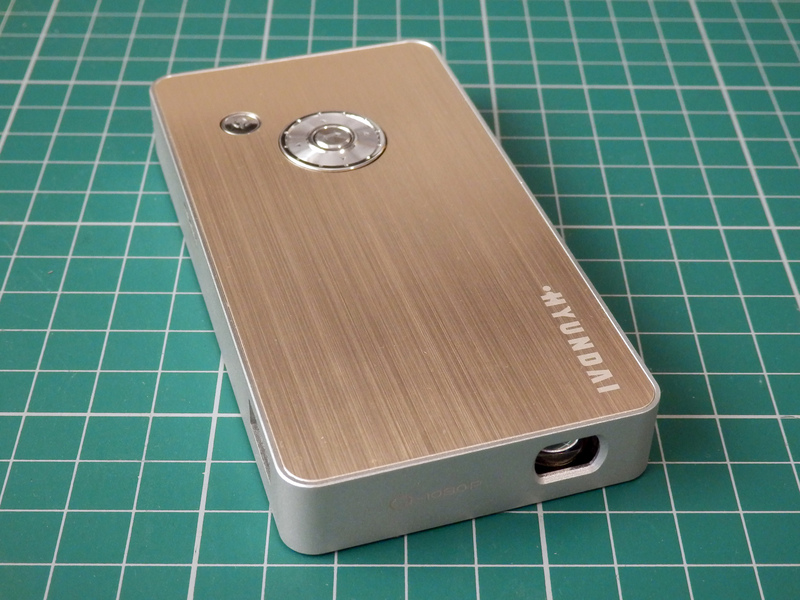 Many low cost portable LCoS projectors tends to be a 16:9 display with QHD screen resolution of 960 x 540 Pixels. (Getting higher resolution all the time). I decided on a HYDUNDAI (re-branded generic) model with QHD resolution. I only paid ($105/£68) but recently the price seems to have increased. You can no longer get this specific model from Chinavasion, so take a look over on Aliexpress and do some haggling. 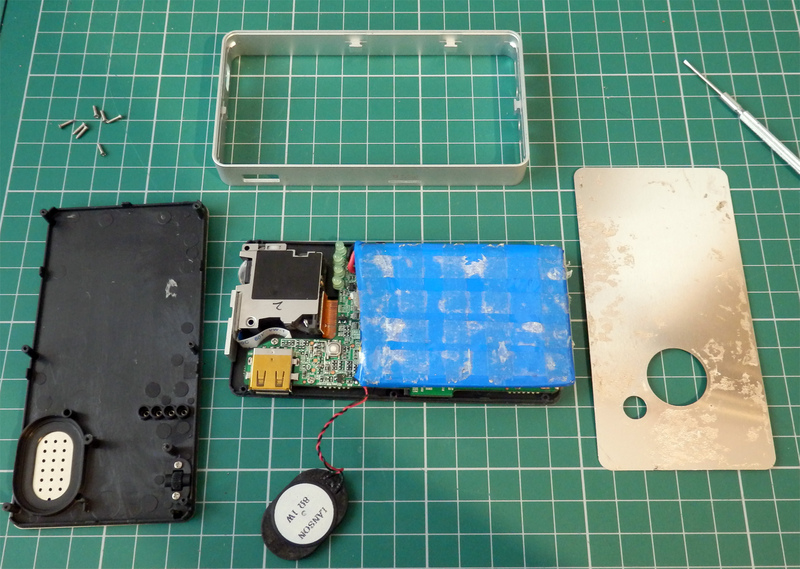 After checking it operated and giving it a charge (they often have built-in batteries) I started to take it apart. 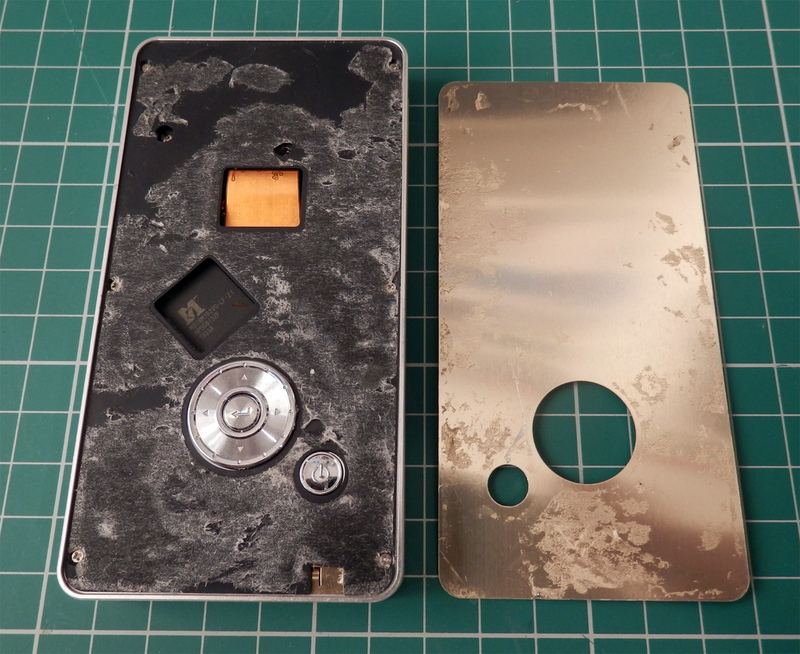 This one had a lot of very sticky tape holding thin metal panels into a plastic and aluminium frame. Much of it is battery. 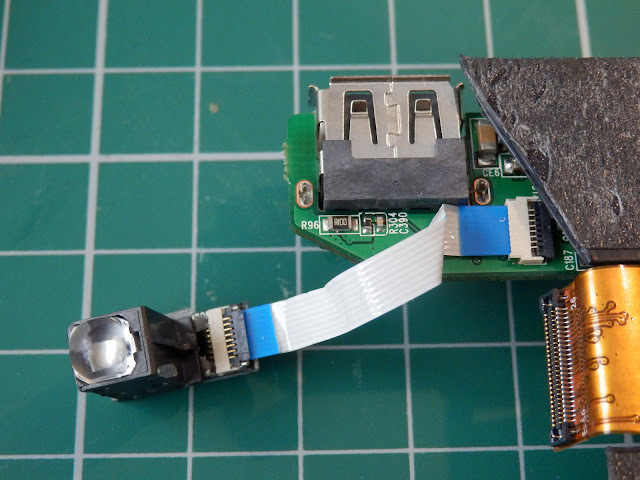 A thin PCB with HDMI and power in connection, speaker and the all important optical engine. 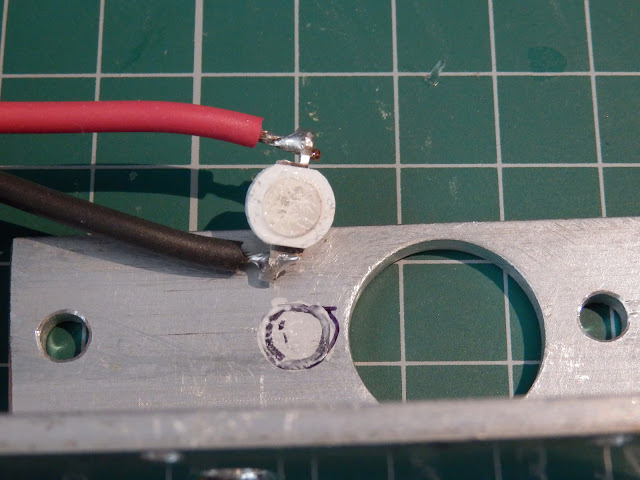 Here I have lifted out the optical engine, the cable still connected is for powering the RGB led light source. Once open it was nice to see a separate optical engine. This means that I can rotate that part to reduce the overall size of the machine required for correct focal distance. RGB LED rated at about ~3W in total. 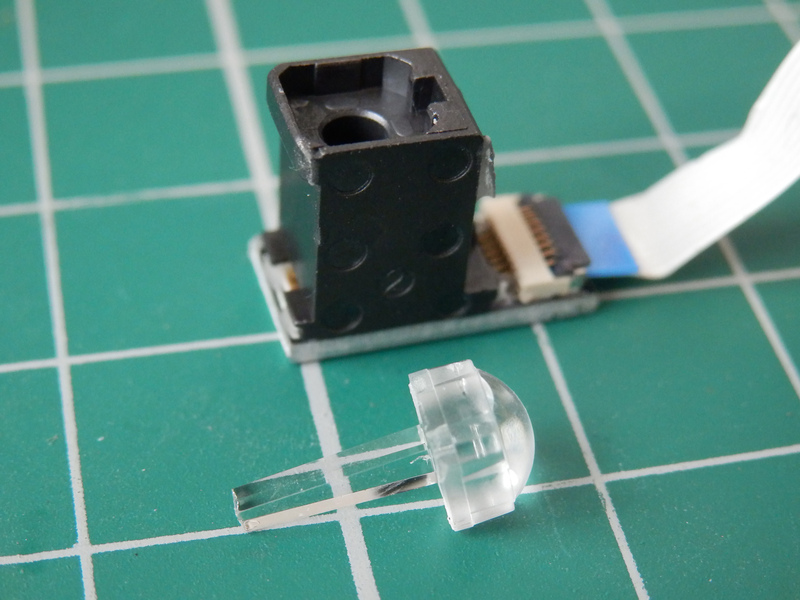 Very quickly parts were separated and I had to try and remove the existing RGB LED, this was surprisingly a die-bonded device with the culminating optical guide. 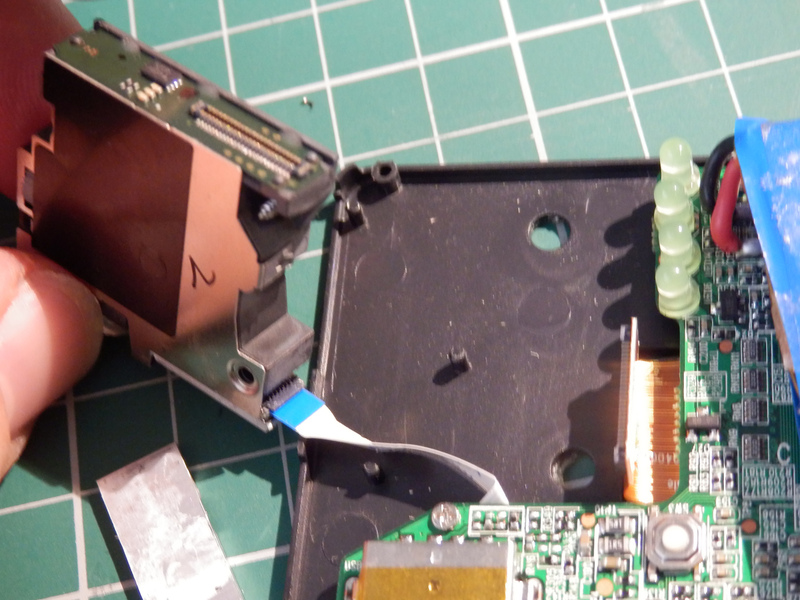 This had been fixed directly onto the bare LED with silicon or clear resin, breaking the seal would stop the LED from working. 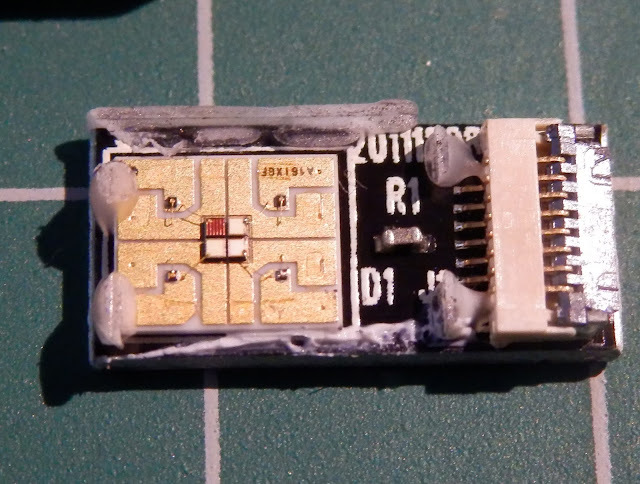 You can see the optical path above that captures all the light from the tiny RGB LED, this is only about 1mm across. But I wanted to see how the optical guide was made to give some insight into how I could modify it or make another one for a replacement UV LED. 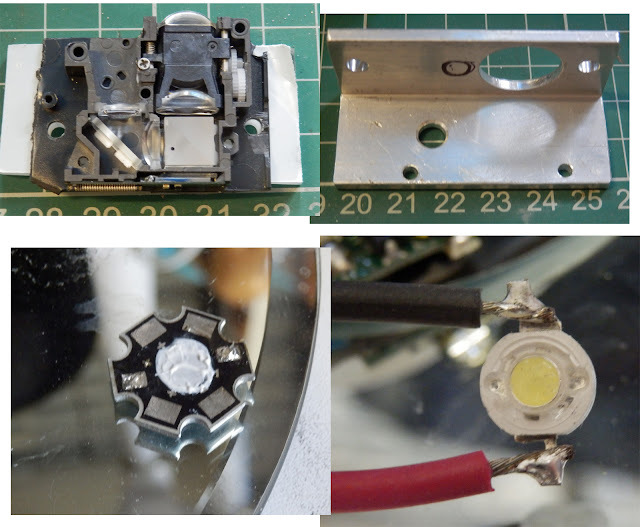 I decided to experiment with a 1W White LED to see how much light I could get to pass through the optical engine and also how best to mount a bigger led for heat control and transmission of focused light. 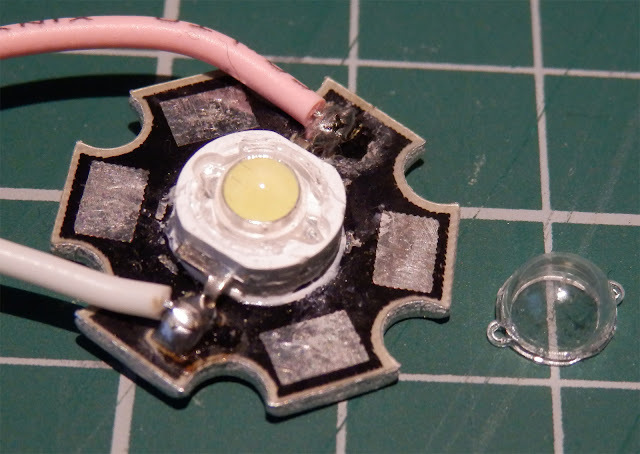 A neat trick for using these LED's and any similar to this, it that the little plastic cover can be popped off, and what you have remaining is a silicone rubber dome, this can be pressed up against an optical light guide and transmit light very well onto it's destination. A polished section of Acrylic. My main concern with LCoS was if enough, or any UV light would successfully pass through the many optical components and reflect off the display panel. 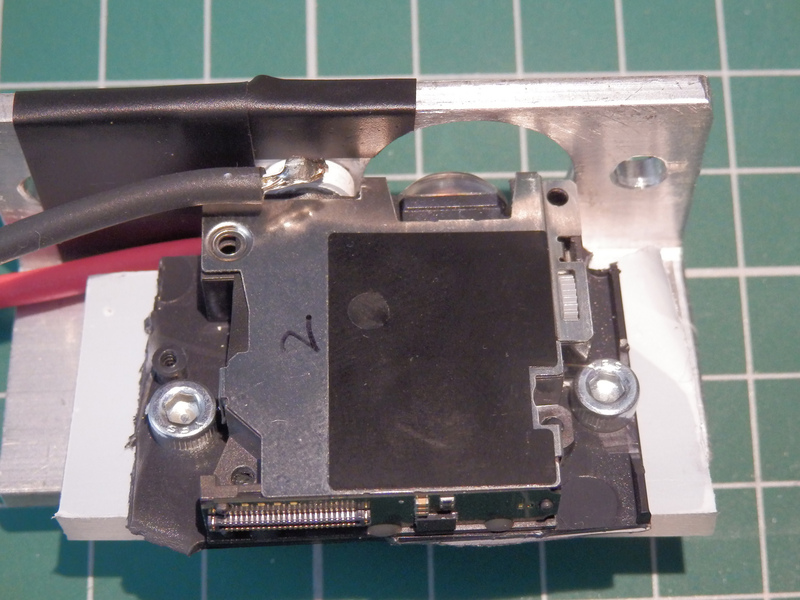 I marked up an aluminium angle bracket as a heatsink and way to mount the optical projector in the printer. Fit and superglue around the edge to hold in place. Now install the light guide- it's wrapped in black tape here. The last job was to connect it up and power it on. The reason why I'm doing this and also using a White LED at this point, is to allow the fixed setting of the focus for a picture size normally smaller than the projector focus wheel will allow. 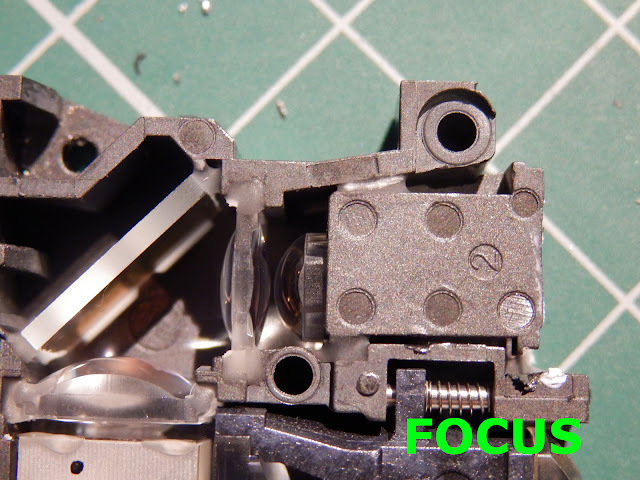 - Above you can see the tiny screw thread that sets the focal distance. Normally this projector would only be in focus with a minimum 10"+ sized screen. I want around a 70mm sized screen size. UV light is dangerous to look at so using a White LED for this part allows me to experiment and take all the measurements I will need to make the projector housing and UV resin tray for the 3D Printer. 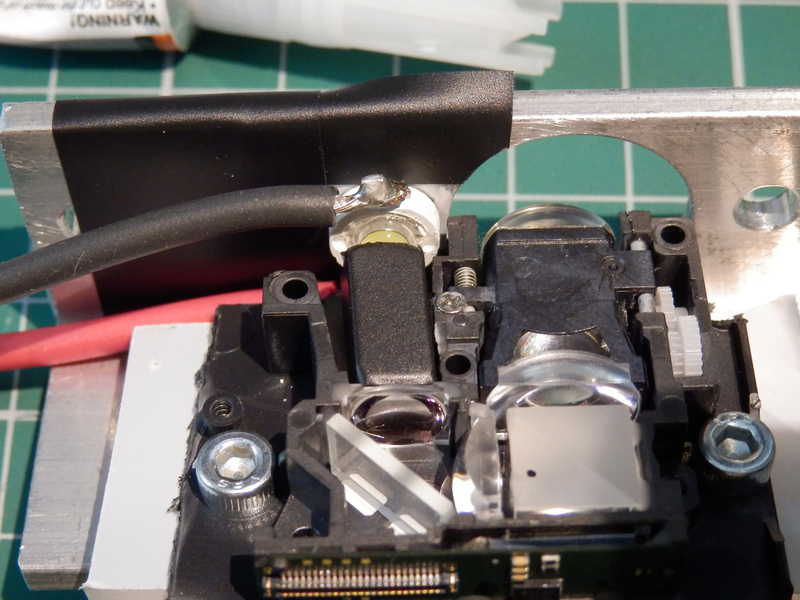 Projecting some pixels to get the focus nice and sharp, then a drop of superglue on the focus screw fixes it in place. I know know the exact distances, angle and elevation of the image - so I can design the 3D printer to accommodate this re-modified LCoS Pico Projector. 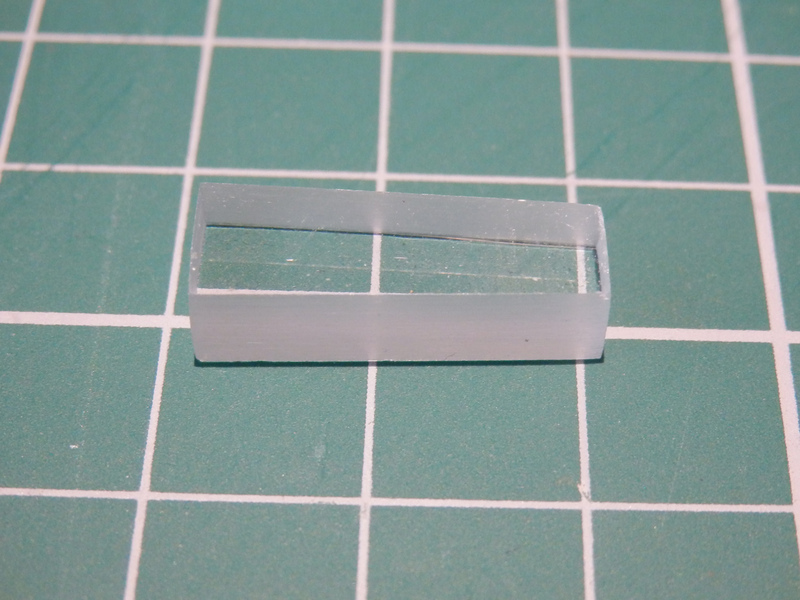 Now we can switch over to a UV led in the design to make out 3D resin Printer. Still designing this one in Sketchup (Jan2015) - but I'm also getting more proficient in solidworks and Autodesk Fusion360. 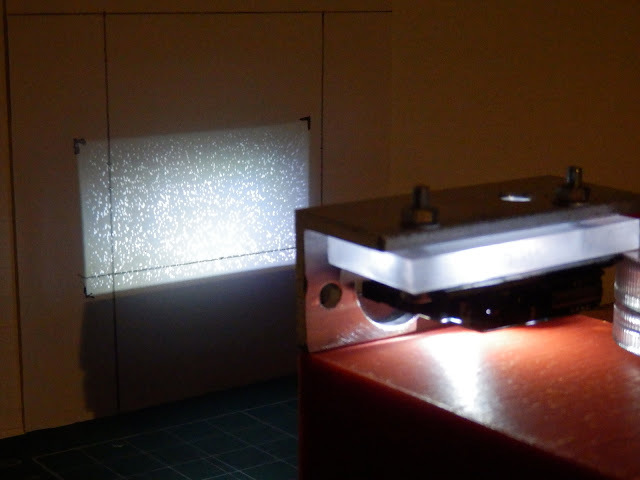 One of the reasons I never wanted to use standard high-intensity DLP based projector's was that they waste a lot of energy when used as a 3D Printer, they also have quite high running costs. DLP projector's produce a wide spectrum of light, only a small portion will be at various UV wavelengths. UV LED's should prove to be a better solution. The best wavelength for most UV Resins is around 365nm. 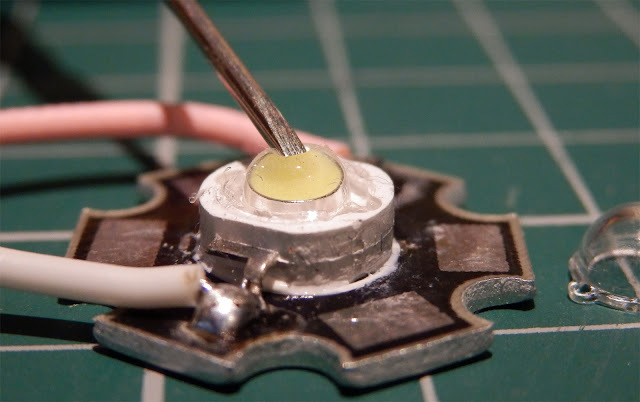 Many UV LED's produce light at around 410nm, this will cure UV resins, but if you can find LED's with a 365nm output it will provide the fastest cure time even with a much lower rated power output. 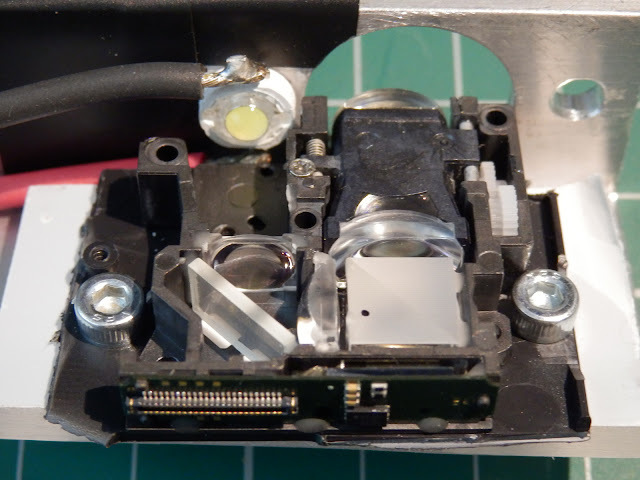 The bulb used in a standard DLP projector tends to use an ultra high pressure (UHP) lamp module. At around $200/£150 each and 180+ watts of power, you will get around ~3000 hours of life and a large waste of electricity. Ultraviolet light has a number of wavelength bands - UVC (100nm to 280nm) and UVB (280nm to 315nm) is not much use to us for curing resin and it's not all that easy to generate either. UVA light falls in the 315nm to 400nm range, and most UV reactive Resins cure in the range of 350 to 410nm. 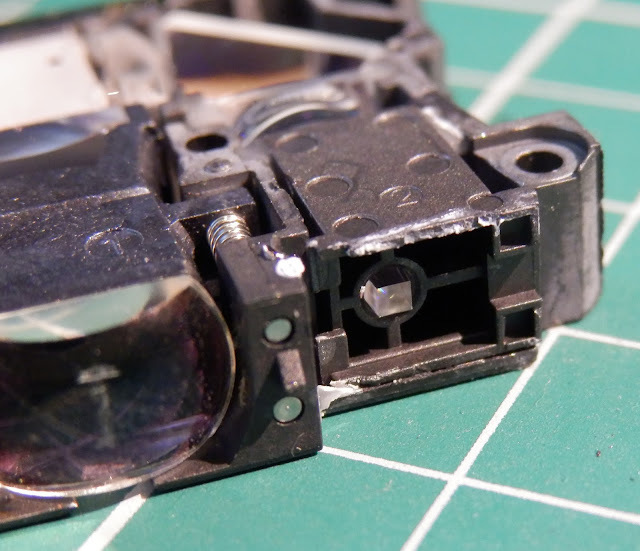 The lower the wavelength the more UV curing power it has, so where many DLP projectors produce light from both the visible and UV spectrum it's towards the 400nm range, so it can take a few seconds to cure each layer. UV LED's or LASERS can be tuned to emit UV light at around 365nm, and that's really ideal to cure many of the resins used today - really fast. A few companies are starting to use dedicated UV projectors, the Autodesk Spark and Ember platform uses a modified UV projector and the team from Carbon 3D claim to be using a high powered UV projection source for their continuous printing - CLIP technology. Lastly, resins can also be tuned to cure in visible light, but this has issues as you don't want your resin to start going hard in a well lit room. Next time we will switch over to a UV led and start to build the 3DRip SLA 3D Printer. 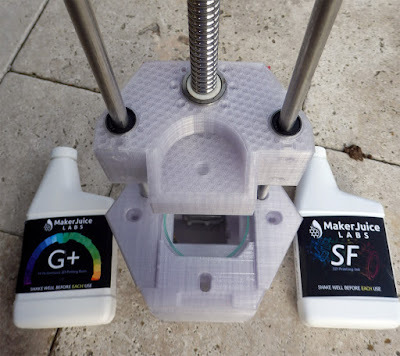 You may find my Disruptive blog post about how to finish your 3D prints useful, I take a look at some ways to make your prints look good after printing, and also some of the tools you can buy or just standard tools for processing. 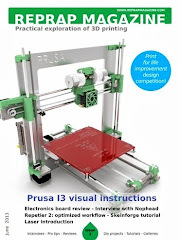 3D Print finishing - do you need a special tool? or can you do it yourself. 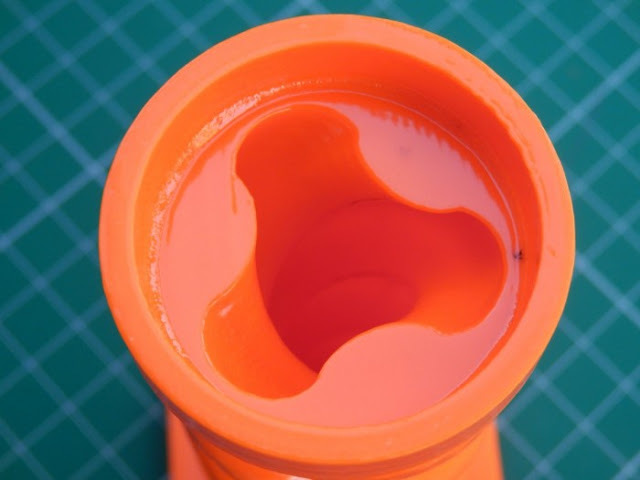 (The image above is from an awesome progressive cavity pump I'm tinkering with - using both hard and soft 3D printing materials to get a really good pumping system for chocolate and other fine things) - More on that soon. 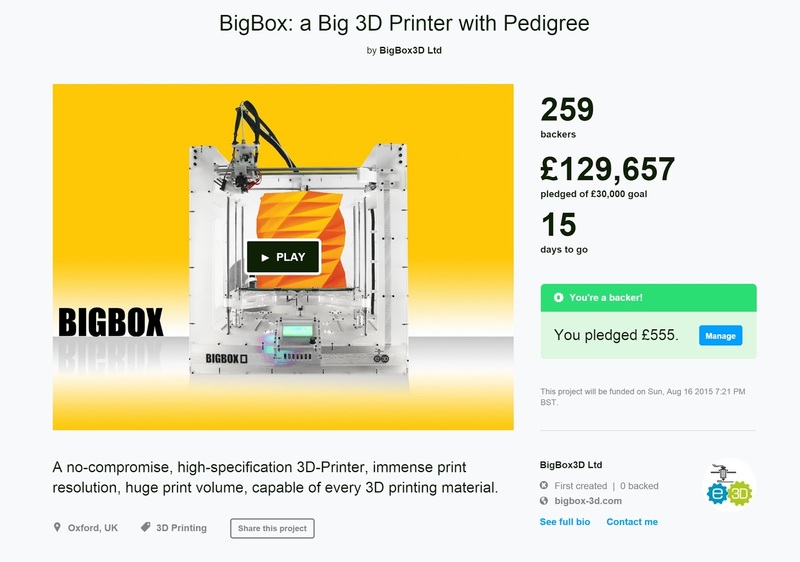 I'm also going over to visit the E3D (BigBox team) next week, I'm planning to pick up a BigBox 3D Printer for some testing and evaluation. - Let me know if you have any questions about the printer. If you are not aware of BigBox - It's got 15 days to go and looking for more funding over on Kickstarter - with the team from E3D and Littlebox behind it. I should have lots more things to blog about in the following weeks, stay tuned and don't forget to ask me questions or post your comments, here, on G+ or anywhere else you like. I'm on Twitter @RichRap3D too.